Ch. 10: Your Landing Page, Subject Line and Content. 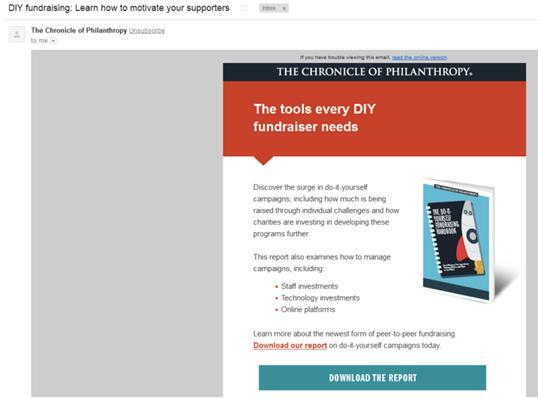 Nonprofit Email Newsletters: Start with a landing page. Learn to write subject lines, design a newsletter template, link its content to your call-to-action landing page, and send it! Last week we introduced Chapter 9. Email List Building: signup forms, pop-ups and incentives..
Today we are presenting the full version of Chapter 10 on writing Emails. Chapter 10. 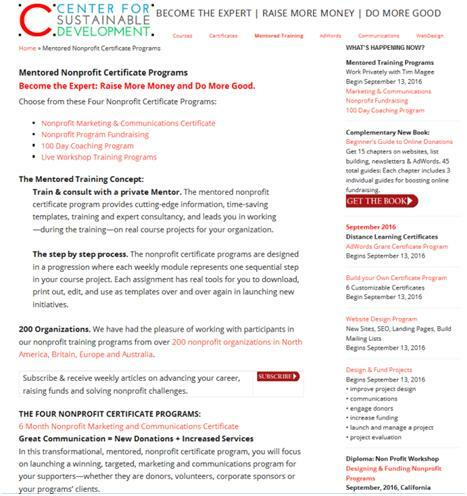 Nonprofit Email Newsletters: subject lines, content, layout, launch. Tab 1. The Importance of Nonprofit Email Newsletters: an overview. Tab 2. Guide 28. 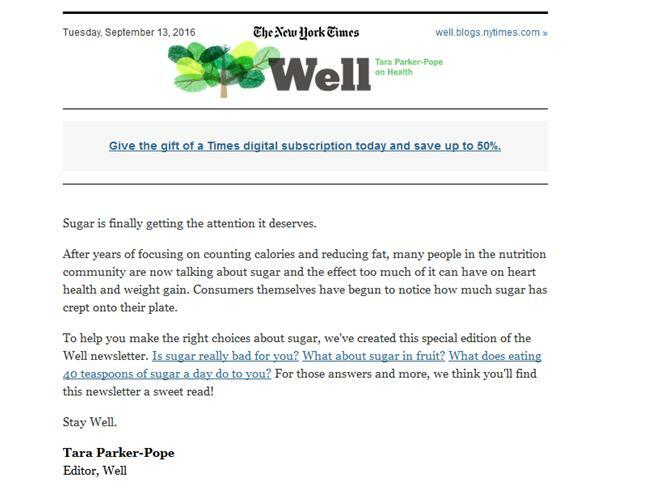 Writing compelling subject lines that will get subscribers to open the newsletter. Tab 3. Guide 29. What should your email look like? How long? What will lure subscribers to click through to an actionable landing page? Tab 4. Guide 30. Launch. Write a new, compelling, newsletter, dovetailed with an action-oriented landing page. Then send it! Chapter 10 on writing and sending Nonprofit Email Newsletters is set-up for you in the 4 tabs just below. Nonprofit Email Newsletters: Time Requirement. Nonprofit Email Newsletters Overview: 15 minutes. Writing Subject Lines. 30 Minutes. Writing your New Newsletter. 1 Hour, 45 minutes. Total Time for Chapter 10 Nonprofit Email Newsletters. Three Hours. 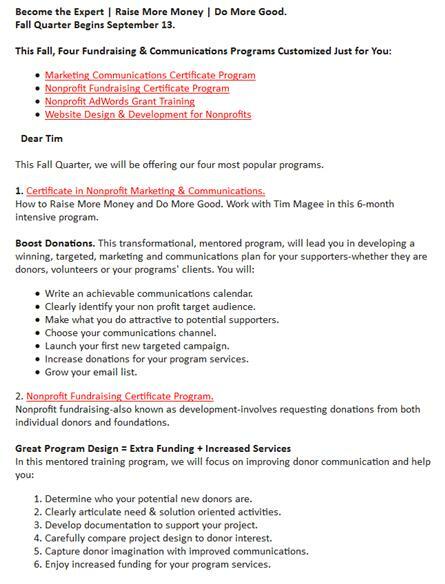 Chapter 10: Nonprofit Email Newsletters is set-up for you in the 4 tabs below. CHAPTER 10 Overview. 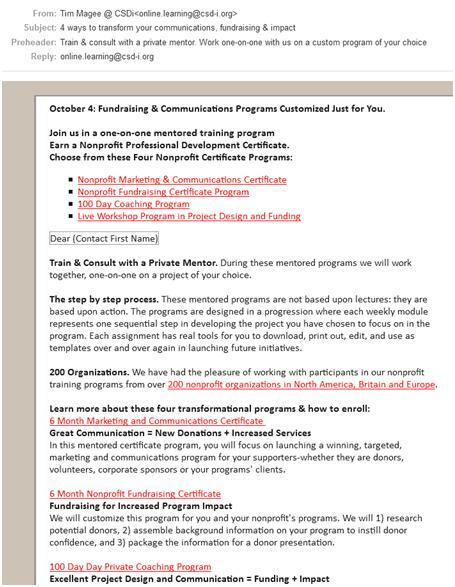 Nonprofit Email Newsletters: subject lines, content, layout, launch. Overview of Chapter 10. This week in Chapter 10 we’re going to learn about 1) Writing subject lines. 2) Designing and laying out your newsletter. And, 3) sending out your first, newly optimized newsletter. Learn More details on how to build email lists. Your subscribers need to open and read the newsletter. What’s going to encourage them to do that? Your subject line needs to be compelling enough so that people click to open your email newsletter. Guide 29. Content and Layout. What should your email look like? How long? What will lure subscribers to click through to an actionable landing page? Unless you’re in the market for a new pair of shoes and want to hear about some tremendous online offers, most readers of nonprofit email newsletters will be interested in information and stories. Some nonprofits have very short nonprofit email newsletters, but that have captivating photographs and short story lines that you can click on to find out more. You will need to determine which formula is the best for you by testing. Your landing page should be written and optimized by this point and organized it through the use of the template you developed in Chapter 5. You should have a design you like and a template for your newsletter. You should be able to copy and paste from the landing page certain predefined sections or sentences, into specific locations on your newsletter. 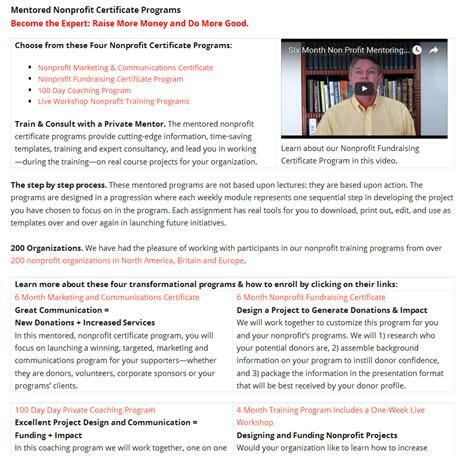 Get Going on Nonprofit Email Newsletters! So now, click on the second tab to learn about subject lines. Click on the third tab to learn about newsletter content and layout. And click on the fourth tab to send your first newly improved newsletter. Back to Links to Chapter 10 Guides. CHAPTER 10. Nonprofit Email Newsletters. Romance your Subscribers! Guide 28. Email Subject lines. Your chance to be both creative and a Sherlock too. Okay. You’ve done all the work of setting up beautiful landing pages. You’ve done search engine optimization so that visitors will find your website and subscribe to your newsletter. You’ve built up an email list of 2,000 subscribers. Good job! It’s great that you’re paying an email newsletter service company to send out your 2,000 nonprofit email newsletters every month. But are you benefiting? What was your goal? What were you hoping to get out of all this hard work? Donations? Volunteers? So your nonprofit email newsletters need to do several jobs for you. They need to lure subscribers to content that they simply can’t wait to read. But then, both the newsletter and the content (landing page) need to have important calls to action: Donate! Volunteer! But first, your subscribers need to open and read the newsletter. What’s going to encourage them to do that? It’s a little like looking for keywords using the "voice of the customer." Your subject line needs to be worded in a manner that your subscribers can relate to a short message phrased in their ‘voice.’ If you do a good job they will want to learn more and will click to open your newsletter. Open up your favorite newspaper online and scan the headlines for the individual articles. The people who write those are geniuses because they all seem tantalizing. Go to your favorite online store and look at the product descriptions: their headlines make you want to buy. This is your subject line goal too! 1) Keep it short and sweet. It is recommend using subject lines with fewer than 50 characters to make sure the people scanning your emails read the entire subject line. 2) Segment your lists. Send potential donors information interesting to them (and with a subject line interesting them). Send potential volunteers information interesting to volunteers (and with a subject line interesting to volunteers). 3) Use a person’s first name or city in a Subject line. 4) Let them know what is inside of the email. 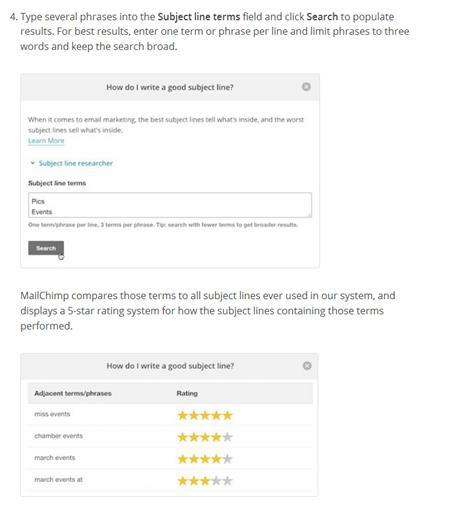 MailChimp has several great tools. The MailChimp link in the resources section below guides you to the tools. One, their Subject Line Researcher, allows you to enter several draft subject lines. The Subject Line Researcher then compares your subject lines to the open rates of subject lines that of actually been sent out and rates which of your subject lines will have a greater likelihood of being opened using a five star rating system. The Wordstream link just below describes different styles of writing subject lines that have been shown to be compelling. See what the pros are doing. One last thing that I would suggest that you do is that when you open your email program in the morning, look at the subject lines and see which ones are compelling for you. Open a new word document, and copy paste some of the subject lines that lure you into opening an email. And then, the next time you need to write a subject line review this word document and see how your subject line compares to the ones that you have liked. You can even do this with other nonprofits that are related to the type of work that your nonprofit does. If you run a food bank, consider subscribing to nonprofit email newsletters from other food banks and related organizations. Look at their subject lines, look at the subjects of their nonprofit email newsletters, and then look at their landing pages. They might have some great ideas that you can learn from. In summary, try to keep your subject line below 50 characters, personalize it, let your readers know what they can hope to get, send appropriate information to appropriate subscribers, consider using MailChimp’s subject line testing tool, and keep an eye out for what other professionals are doing with their subject lines. What should your email look like? How long? What will lure subscribers to click through to an actionable landing page? 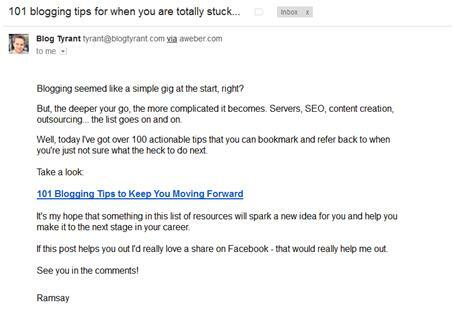 I hate to keep harping on the "G" word, but what is your goal for your email newsletter? Do you want subscribers, donors, volunteers? You can spend an extraordinary amount of time each week putting a newsletter together. A replicable template really speeds things up. So at the point when you’re happy with your newsletter layout—you can simply copy and paste it each week and change the text and photos. 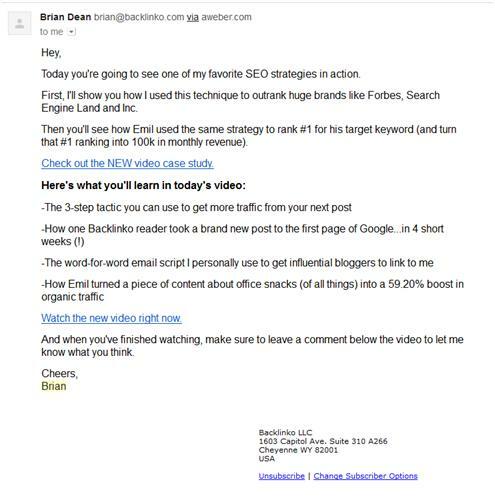 Some of the really big, successful online marketers have the simplest newsletters. Short, plain copy, no graphics. They simply want to link you to their website landing page where you can see opportunities that you can purchase. Other nonprofits have very short nonprofit email newsletters, but that have captivating photographs and short story lines that you can click on to find out more. You will need to determine which formula is the best for you by testing. For example, one week you can send out a stripped down newsletter and see what your click-through rate is. The next week you can send out a more graphic newsletter and see what your click-through rate is. Each of the email service providers have tools for doing this testing. But remember, the single biggest determinant in opening your email is your subject line—not the body of the email—because they can’t even see it unless they open it: just the subject line. Mobile is also huge. Some studies have shown 60% of emails are opened up on mobile devices. So your email needs to be short and sweet and easily readable on a cell phone—or on a tablet. But back to the goal. The goal is to get people to 1) open your email and then 2) click on a link that takes them to a landing page on your website. At that landing page they will be able to find educational information, calls to action to donate, subscribe, or volunteer, and they will also see other opportunities for engaging with your organization. 1. Write a newsletter subject line that is irresistible to your audience. 2. Compose a short email illuminating the subject line but not giving all of the information away—until they click through to your landing page. 3. Perfect your landing page. A happy consequence for you if you use a very simple email newsletter is reduced time in putting it together. Invest your time in a good subject line and an awesome landing page. With a replicable newsletter template you can copy and paste a few key lines from your landing page into the newsletter—and get it sent off. 1. Choose your style. Do you want a minimalist newsletter or highly graphic newsletter? The resources below can show you different examples. 2. Invest time in your subject line. You need people open your email. 3. Invest time in your landing page. This is where people will decide to subscribe, donate, volunteer. 4. The email itself should simply lure people to your landing page. Just below are examples of nine great subject lines that I spotted in my inbox just now. I’ve also included screenshots of several of the newsletters themselves. The first thing to notice is how short and simple the subjects lines are—and how they make you want to open the newsletter. Secondly, look at how short and simple the emails are themselves. They get right to the point, they help you understand what you’re going to learn or be able to download, or participate in if you click on the link to their landing page. Several of them are nicely formatted and have images. Your email service provider will have these graphic tools [and attractive newsletter templates] available to you. Take a look at the New York Times email: with the exception of their standardized heading it’s pretty simple—both in content and in formatting. Look at Brian Dean’s and Ramsey’s (Blog Tyrant) emails: they have a simple ‘just typed in’ look to them. But, if you click on the link their landing pages are beautifully done. So, the pros seem to find that simple is better. It only took me 15 minutes to go through a week’s worth of emails, identify some compelling subject lines, and take it closer look at the emails themselves; I think it would be good idea if you did the same thing! Create a collection of ideas. Just copy and paste into a Word document and save it so that you can find it. And when it comes time to do your next subject line for your next newsletter you’ll have some inspiration. Will you give us a second chance? More Farmers = More Food — Support farmers — Donate today! October 20: You’re Invited to Dinner! As per norm, I have included these additional resources. What should your email newsletter look like? Write a new, compelling, newsletter, dovetailed with an action-oriented landing page. Then send it! In the first two guides of Chapter 10 we looked at writing engaging subject lines so that people will open your email—and also at the content and layout of the email itself: short, long, very graphic, or simple and clean? But at the heart of this still remains your landing page. You have written a compelling landing page that is appropriate for your market—and this is why people subscribed to your newsletter—because of the quality of your landing pages and their interest in the subject matter. So several things need to happen now. If you decide to use the landing page you developed in Chapter 5—it should be written and optimized by this point through the use of the template you created in Chapter 5. Your landing page should have a compelling call to action related to your readers’ interests. 1. It will tremendously speed up the process of assembling your newsletter. 2. It will give the newsletter a professional, comfortable look and feel which subscribers come to expect and enjoy. 3. It will make sure that you are getting the correct portions of the landing page into the newsletter so that people want to click through and read the landing page. Who: Nonprofit professionals. People hoping to transition into working with a nonprofit. People who would like to start a nonprofit. How many: 50 new people to enroll in 2 new training programs. Since each person will take more than one course we would expect 100 enrollments. How much: $150 per enrollment X 100 enrollments = $15,000. Where: Enrollees will be from North America and the UK. In Guide 21 we identified your brand: who are you? What does your nonprofit do? Specifically, in sound bites, we made this sound attractive to your new supporters. In Assignment 15 we identified features and benefits in the form of bullet points. Many of these already existed and were borrowed to use in a new landing page. CSDi has provided distance, blended, and workshop training for eight years to over 4,000 professionals. Course projects launched by participants have impacted over 400,000 people. We used some of these bullet points about specific areas of supporters’ interests that your nonprofit does—including features and benefits. However, combined, we can use the sound bites for several different purposes: keywords, landing page titles, newsletter subject lines and social media. Technique One: Developing a campaign beginning from an existing landing page. You can approach your landing page/newsletter content writing from the direction of a good quality, existing landing page. Once finished, you can copy and paste from the landing page into your newsletter template. I have identified half a dozen landing pages on our website which could work for our goal of getting new participants into our training programs. In looking at them, there’s one general training page and four specific training pages. It’s occurred to me that I could pick one to focus on for this assignment. I could then go ahead and use the others as part of my annual communications plan and offer one newsletter over the next six months for each of the six training pages. In the process I can get them all updated and optimized. Technique Two: Developing a new campaign using a new campaign concept that urgently needs to be sent out in a newsletter. You can approach your landing page/newsletter content writing from the direction of an important newsletter concept that needs be written from scratch. But after you have the concept and several potential subject lines, I would still write the landing page first and copy/paste into your newsletter template. You might find that you have an existing landing page that with a little editing could work fine and save time in writing new material. If you’re ever stuck for newsletter ideas, a really efficient thing to do is to look through your list of website pages and blogs. If you’re like us, you may have dozens which are a little older, but which are working well for you and could be improved with a facelift or an update. Idea 1: Remodel an Old Landing Page. So for example, let’s say that you want to send out a newsletter about your volunteer program. You come to realize that your volunteer landing page was written four years ago by someone who’s not even with your organization any longer. It has outdated information, and outdated photos—and was written before the day of SEO optimization. So rather than taking 8 or 10 or 12 hours to write a brand-new landing page from scratch, you could take 4 or 6 hours and perform keyword research (Chapter 5). You could then edit and rewrite your volunteer page incorporating your newly found, high-performing keywords. You could add in two or three current photos and bring the overall page up your current graphic standards. And then you could run it through your SEO optimization program. All of this probably needed to be done anyway! Idea 2: Create a second, specialized landing page from an existing one. Your goal may not be to remodel an old landing page, but to use an old landing page that could be re-edited to be more appropriate for a new audience. You can then take your newly edited page, perform your SEO tasks and develop a newly optimized URL and move forward. Then you will have two landing pages appealing to two different audiences. If you’re trying to pump out a newsletter a week, these two techniques are a great way to come up with new ideas. And, if you were to remodel an old landing page once a month your website would improved greatly over a couple of years. Newsletter Template from your provider. I will typically write a brand new newsletter in Microsoft Word. Even if I’m simply copying and pasting from a landing page, I’ll still assemble my newsletter in Word. 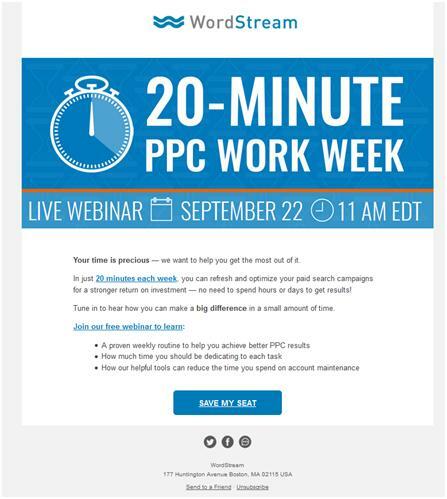 It’s much easier to read and check spelling than in an email newsletter program. Most email newsletter programs like MailChimp and Constant Contact have different ways of creating emails. They typically will have just a blank page that you type into or paste into but they will also have a collection of templates from which you can choose an attractive one for your organization. In guides 28 and 29 in this chapter you saw a number of different example newsletters some of which were extremely simple and had no graphic elements at all, and others which had an attractive banner or color scheme. So your first decision to make is if you want to go with a graphic template. If so, choose one that’s the most pleasant to you and that your readers will enjoy. The next thing is that email newsletter services will allow you to edit just like in a word document, but they will also allow you to switch to HTML mode if you want to do some fine tuning. Once you’ve chosen a look and feel that you want to stay with and have assembled your first newsletter, you can simply copy it for your next newsletter; this keeps the look and feel of your master template consistent from newsletter to newsletter. Then it is just a matter of doing some editing and copying and pasting. I typically copy and paste one sentence or one paragraph at a time—that way I don’t lose the formatted look of the newsletter. Another nice thing about copying last week’s newsletter for this week’s newsletter is that some elements will remain the same from week to week. You might have a donate button or a ‘Contact Us’ link which will stay the same from week to week so this will be more efficient than starting from scratch each time. The first thing that I’m going to do is to carefully go through the landing page and make sure that it’s up to date, readable, and offers compelling calls to action. Once I’m 100% satisfied with the re-edited landing page I’m going to go back through the SEO steps and make sure that it’s still well done. The revised landing page is much shorter—you can see that all of the important information is above the fold. It also neatly has all of the elements discussed in the Chapter 5 12 steps to building a perfect landing page template. These elements include an offer, an image, social proof, and benefits and features—not to mention several calls to action. I also went through the Yoast SEO suggestions to make sure that I have all of the important elements they suggest. I also turned off the sidebar on this page to make more space for getting content above the fold and for reducing distractions. So the landing page is much improved and because of its simplicity made for easy copy/paste project over to the newsletter. We use both MailChimp and Constant Contact for sending emails and for maintaining our email lists. I will be using Constant Contact for assembling this newsletter because we have the best selection of our own email templates there. Since this is going to be my first improved newsletter, I’m going to print out both the landing page and the newsletter so I can set them down side-by-side and begin developing a newsletter template that will allow me to simply copy from the landing page and paste into the newsletter. I want to be able to do this each week to save myself time and work. This one is almost a direct copy/paste from the landing page—but I did cut the number of words in half. Again, the important things are above the fold. There is both an offer and the call to action at the very top so that if someone opens the email they’ll immediately see what’s being offered and have a call to action with links that will take them exactly where they want to go. "4 ways to transform your communications, fundraising & impact" (61 characters with spaces). Because my improved landing page is quite short I was simply able to copy and paste sections of HTML into the newsletter template. I did this carefully so that I didn’t alter the format or the look of the newsletter. This is really quite quick. I then sat down and edited out about half of the content so that the newsletter is substantially shorter than the landing page. One of the first things that I do before sending a newsletter is mailing list hygiene. Constant Contact allows me to see which emails no longer work each time I sent an email out. I usually wait a week, and then I go and delete emails that say things like "mailbox full" and "undeliverable." This typically means that these people don’t work for that organization any longer. This only takes a minute to do but in the long run can save you hundreds of dollars. You’re paying for each and every one of those names and if emails that you’re paying for and sending out aren’t reaching anybody, you might as will get rid of them. It’s also a lot easier to do a few at a time on a monthly basis than to sit down and try to weed through several thousand emails after a year. The next thing that I do is to make sure all of recent subscribers are uploaded into our mailing list service provider’s database of our subscribers. It’s very important to make sure that a new subscriber receives something from you fairly soon after they subscribe—otherwise they forget who you are and the relevance of their subscription. Fortunately, over the past couple of years we have segmented the names as they come in. This means that we know if somebody is from Africa versus North America (two different markets and two different nonprofit email newsletters), or if they are a donor or a recipient of our services (two different nonprofit email newsletters). Before we learned the need to do this, all of the names were in one big jumble and so we couldn’t target specialized nonprofit email newsletters to the correct people. Start early with learning how to segment! It will save you a tremendous amount of work later on. The next thing that I do is that I sleep on the work that I’ve done on the newsletter—and then the next day I print it out and read through it carefully to make sure that it makes sense and that there aren’t typos. It’s even better if you can get another member of your team to read through it. Then I send a copy of the newsletter to myself and I make sure that it looks good in a couple of different browsers and email programs. I then check all of the links to make sure they work. Once I’m satisfied that my mailing list is in good shape and my newsletter is perfect—I send it! Enjoy Nonprofit Email Newsletters! See you next week. Want to enjoy the Chapter 10 Email Newsletter learning process with a live teacher? See the online, teacher-led course behind this chapter.